Join ArtsClub for a dinner party at M. David & Co in Bushwick, featuring over 20 artists, with a portion of the proceeds benefiting Planned Parenthood. During this event, we’ll hear about the history of Bushwick and the evolution of the NY art scene from the 1970’s to the present. M. David & Co. is known for its high energy, interactive discussions between participants and speakers. 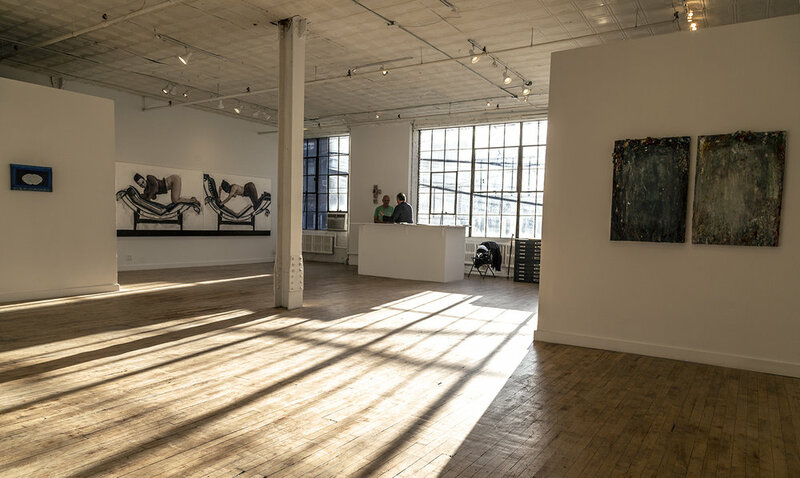 Formerly called Life On Mars, M. David & Co. has been the leading gallery in Brooklyn for 5 years, showcasing intergenerational relationships between artists in NYC, from emerging to mid-career to blue-chip. 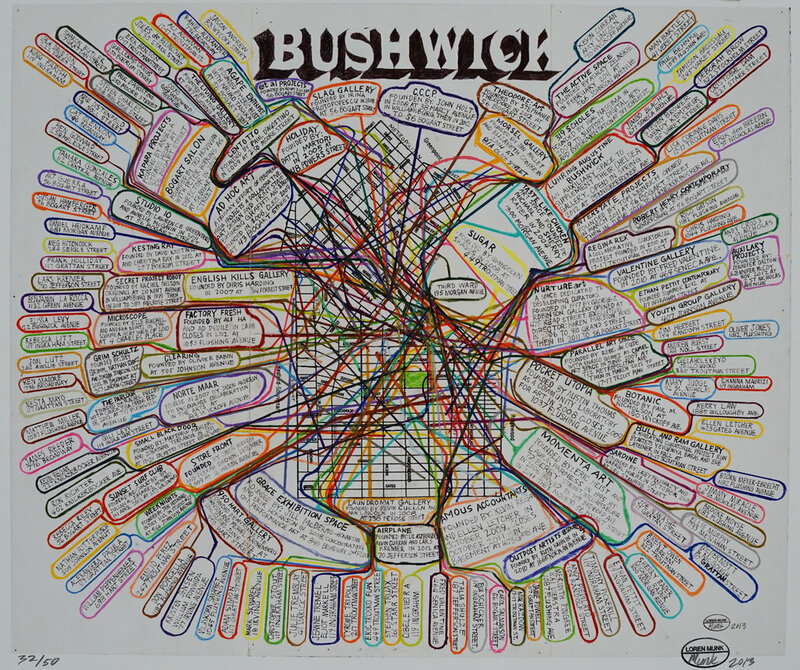 The evening will feature interactive presentations on the history of Bushwick, building art collections at different levels and the evolution of the New York Art Scene from the 70’s to present, led by Grace Rosseli, Mary DeVincentis, Loren Munk and Paul D’Agostino. 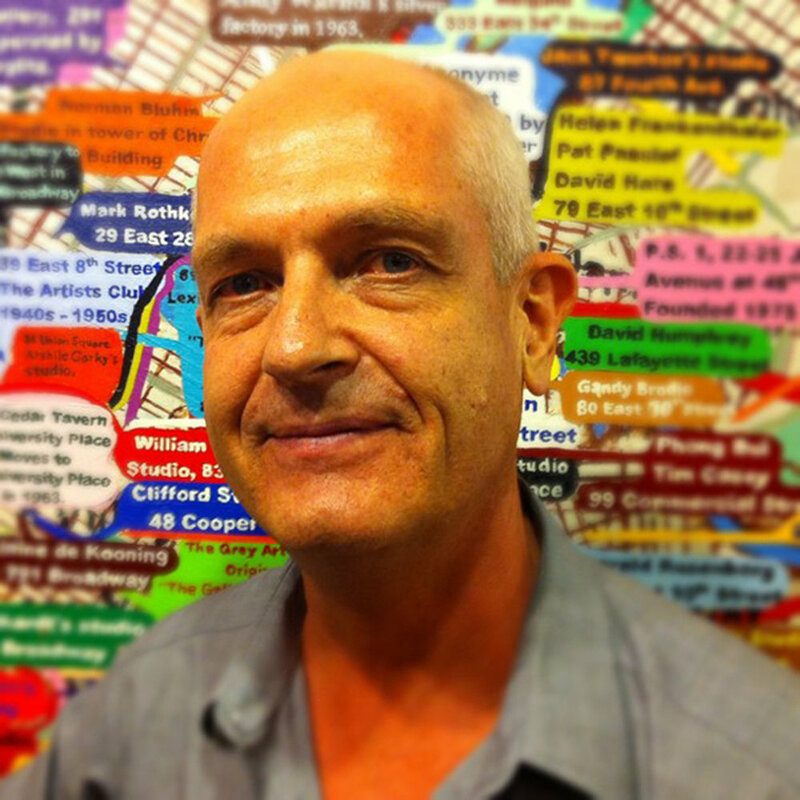 Loren Munk is a painter, but also goes under the pseudonym of James Kalm, an art critic that chronicles exhibitions through video to providing access the NYC art scene for those who don’t have the opportunity to experience it first hand. Grace Roselli is a painter and photographer. 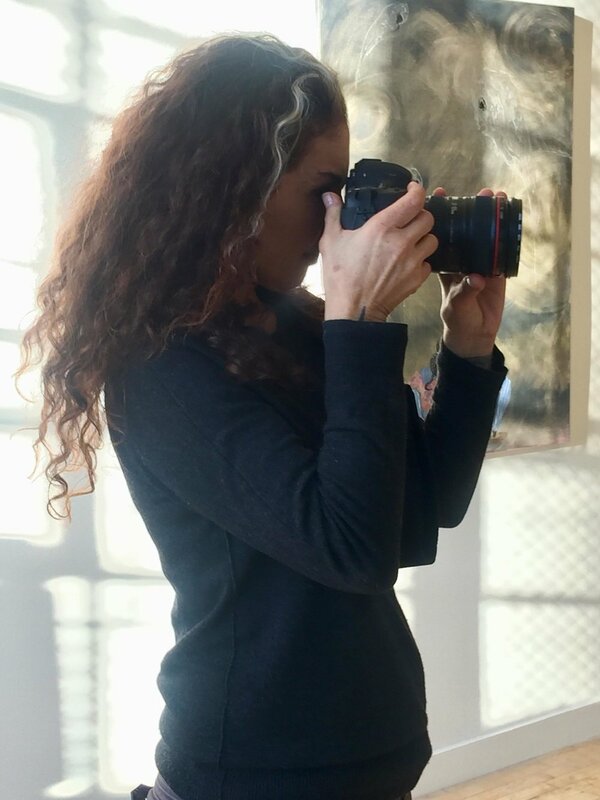 She will discuss her project documenting the rise of women artists from the first generation to present, and the women curators, collectors, gallerists who support them. 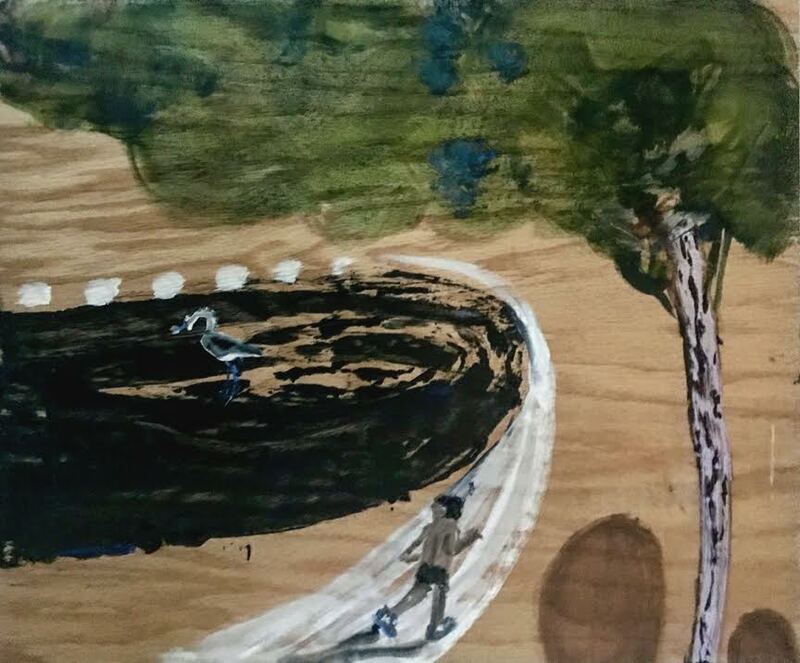 Michael David is an artist, who has exhibited around the world with Blue Chip galleries for 3 decades, and has now joined the other side of the industry as an art dealer. Michael will discuss his unique insights into the artist-gallerist relationship and how artists navigate their ability to maintain studio practices and survive. Influenced by Buddhist philosophy and the practice of psychotherapy, Mary DeVincentis paintings investigate the universal dilemmas and mysteries of existence. She is currently working on Dark Matters, a series of paintings exploring the shadow side of human experience and Sin Eaters, a series which depicts society’s saints, martyrs, scapegoats, and outcasts. 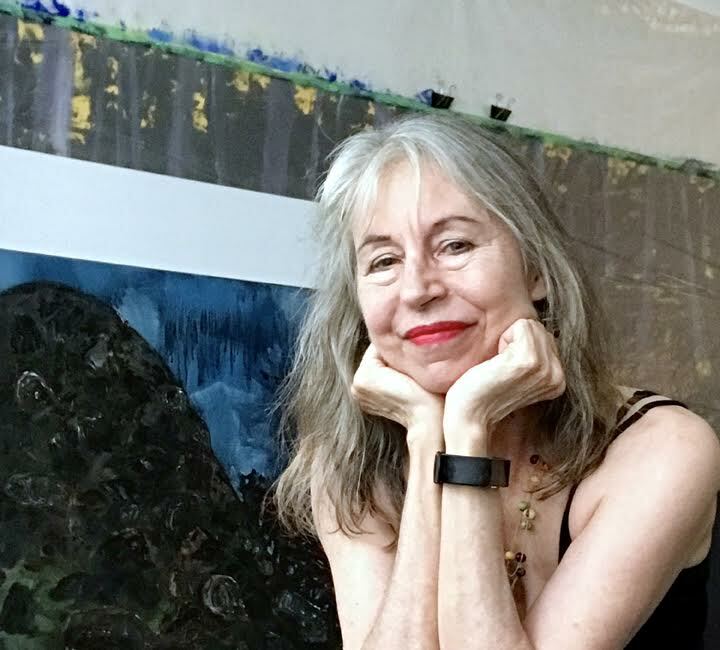 Her work has been exhibited at Life on Mars Gallery, the International Print Center, the New York Public Library, White Columns and the Brooklyn Museum. During this event, Mary will be discussing how developing her career as an artist in Bushwick and NYC has informed her practice. The exhibition will feature a selection of works on papers, signed books, photos, prints and paintings ranging from $200 to $200,000. The portion of proceeds donated to Planned Parenthood will vary depending on the donation level of the artist and will be stated to the buyer before purchases are made. *Works will be available for purchase throughout the evening. The portion of proceeds donated to Planned Parenthood will vary depending on the donation level of the artist and will be stated to the buyer before purchases are made.